Tributes pour in for Mtukudzi - SABC News - Breaking news, special reports, world, business, sport coverage of all South African current events. Africa's news leader. Oliver Mtukudzi has died at the age of 66. 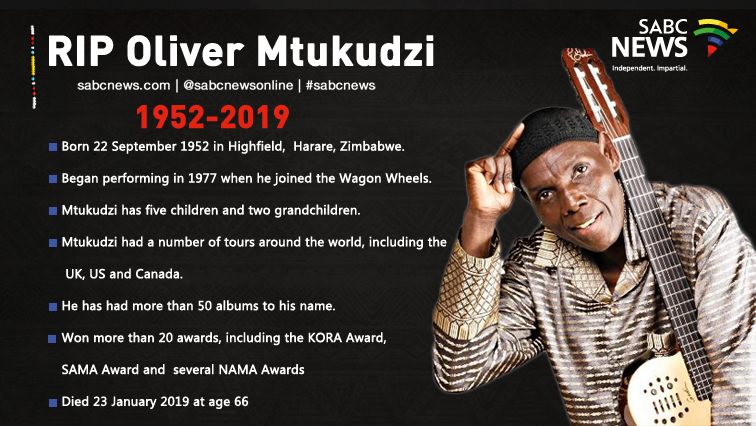 Tributes are pouring in for award-winning Zimbabwean musician Oliver Mtukudzi, who died earlier on Wednesday in a hospital in Harare. He was 66 years-old. Mtukudzi has worked with several South African artists, including Hugh Masekela and Ringo Madlingozi. “Tuku”, as he was affectionately known, is one of the most prolific musicians to come out of Southern Africa, with more than 60 albums to his name. “Oliver Mtukudzi was born in Highfield, formerly Salisbury in Harare in 1952. He began performing in 1977 with the band ‘Wagon Wheel’, which comprised another famous Zimbabwean musician, Thomas Mapfumo. Through music, Mtukudzi tackled socio-economic realities of people living not only in his home country, but elsewhere on the continent. In South Africa Mtukudzi has worked and collaborated with the likes of Ringo Madlingozi, Hugh Masekela and Judith Sephuma. He made regular appearances at local and international jazz and arts festivals in the country. 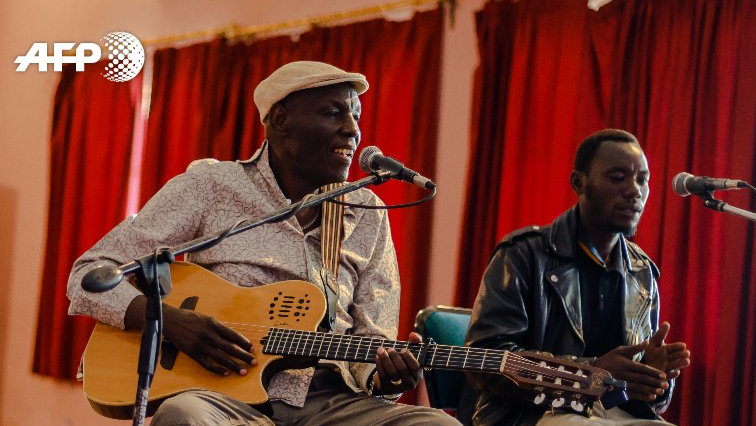 Mtukudzi also performed in countries such as England, Germany and the United States. Fellow musician Yvonne Chaka Chaka says she is heartbroken by the news. Chaka Chaka has expressed her condolences to his fans and family and says his legacy will live on through the impact he had on people’s lives. Executive Producer of Joy of Jazz Festival and music producer Peter Tladi says Mtukudzi’s death is a great loss to the industry. Fans have taken to social media to send their tributes. This entry was posted on 23 Jan 2019,07:00PM at 7:00 PM and is filed under Lifestyle. You can follow any responses to this entry through the RSS 2.0 feed. Both comments and pings are currently closed.